OWW Radio http://www.onlineworldofwrestling.com The official podcast of Online World of Wrestling Thu, 18 Apr 2019 17:46:59 +0000 en-US hourly 1 https://wordpress.org/?v=5.1.1 Join host, David Buckler as he interviews some of the top names in professional wrestling today. David Buckler yes David Buckler info@blackpants.net info@blackpants.net (David Buckler) 2017, Black Pants, Inc. Online World of Wrestling OWW Radio http://www.onlineworldofwrestling.com/wp-content/uploads/powerpress/oww-itunes-logo2017.jpg http://www.onlineworldofwrestling.com Original GLOW Girl Roxy Astor Joins CAC Radio http://www.onlineworldofwrestling.com/original-glow-girl-roxy-astor-joins-cac-radio/ Fri, 19 Oct 2018 17:44:35 +0000 http://www.onlineworldofwrestling.com/?p=175184 http://www.onlineworldofwrestling.com/original-glow-girl-roxy-astor-joins-cac-radio/#respond http://www.onlineworldofwrestling.com/original-glow-girl-roxy-astor-joins-cac-radio/feed/ 0 Roxy talks about the upcoming “AfterGLOW 80’s Musical Experience!”, the impact of GLOW, and much more. On this new episode of CAC Radio we go back to the future! Cohosts Jim Valley (@JimValley) and MK (@themkbandit) welcome a member of the original Gorgeous Ladies of Wrestling, Roxy Astor, to the program. She talks about the upcoming “AfterGLOW 80’s Musical Experience!”, the impact of GLOW, and much more. Find out more information about “AfterGLOW 80’s Musical Experience” here: AfterGlowExperience.net. In addition, CAC Executive Board member and original host David Buckler (@dlb19338) comes back to discuss GLOW in 80s and what those women mean to the CAC. Plus MK tells about his new car – a Delorian! It’s a “throwback” themes episode of CAC Radio. We hope you enjoy! ]]> Roxy talks about the upcoming “AfterGLOW 80’s Musical Experience!”, the impact of GLOW, and much more. Roxy talks about the upcoming “AfterGLOW 80’s Musical Experience!”, the impact of GLOW, and much more. David Buckler yes 1:06:24 Baron von Raschke Shares His Memories of the Business http://www.onlineworldofwrestling.com/baron-von-raschke-shares-his-memories-of-the-business/ Fri, 24 Nov 2017 16:07:11 +0000 http://www.onlineworldofwrestling.com/?p=168125 http://www.onlineworldofwrestling.com/baron-von-raschke-shares-his-memories-of-the-business/#comments http://www.onlineworldofwrestling.com/baron-von-raschke-shares-his-memories-of-the-business/feed/ 1 CAC Radio hosts Jim and Matthew welcome the 2018 Iron Mike Mazurki award winner, the legendary Baron von Raschke, to the show. Hello everyone, and welcome to this edition of CAC Radio. This show marks the debut of our new radio hosts, Jim Valley and Matthew Roblez, and features interviews with two special guests. First, Cauliflower Alley Club President and CEO, Brian Blair, joins the show to talk about the upcoming 2018 CAC Reunion scheduled for April 30-May 2, 2018. Then Jim and Matthew welcome this year’s Iron Mike Mazurki award winner, the legendary Baron von Raschke, to the show. 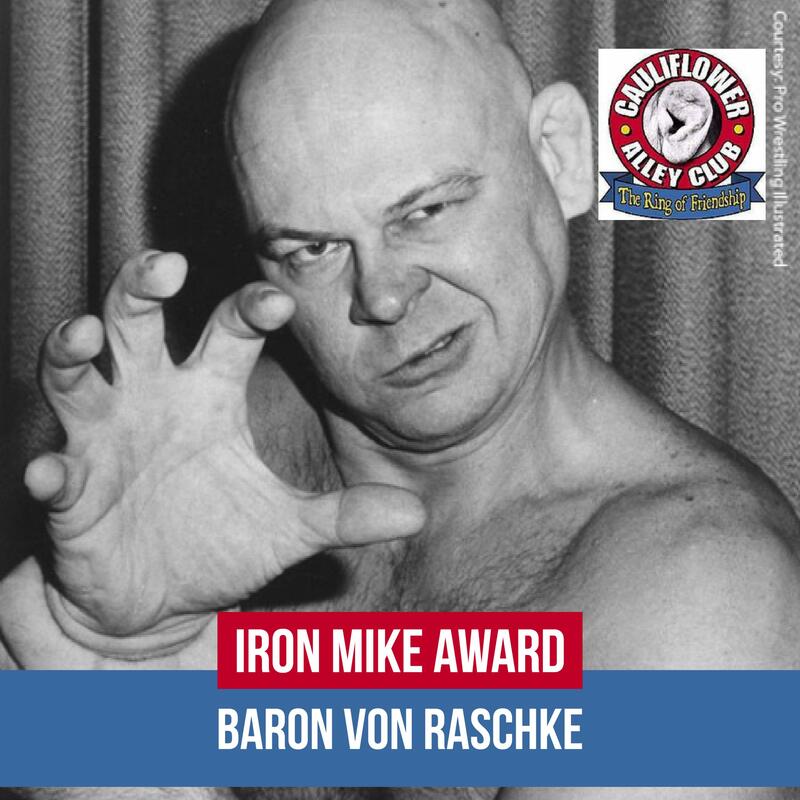 ]]> CAC Radio hosts Jim and Matthew welcome the 2018 Iron Mike Mazurki award winner, the legendary Baron von Raschke, to the show. CAC Radio hosts Jim and Matthew welcome the 2018 Iron Mike Mazurki award winner, the legendary Baron von Raschke, to the show. David Buckler yes 1:10:59 Jessika Carr Makes It To The Top http://www.onlineworldofwrestling.com/jessie-kaye-continues-her-climb-to-the-top/ Wed, 23 Aug 2017 17:30:06 +0000 http://www.onlineworldofwrestling.com/?p=128398 http://www.onlineworldofwrestling.com/jessie-kaye-continues-her-climb-to-the-top/#comments http://www.onlineworldofwrestling.com/jessie-kaye-continues-her-climb-to-the-top/feed/ 2 Congratulations to Jessika Carr for becoming WWE's 1st female referee. Here is her interview on OWW Radio and the links to Diva Dirt's documentary "Road to the Ring". ]]> Congratulations to Jessika Carr for becoming WWE's 1st female referee. Here is her interview on OWW Radio and the links to Diva Dirt's documentary "Road to the Ring". Congratulations to Jessika Carr for becoming WWE's 1st female referee. Here is her interview on OWW Radio and the links to Diva Dirt's documentary "Road to the Ring". David Buckler yes 39:21 The Ripper is Back http://www.onlineworldofwrestling.com/the-ripper-is-back/ Tue, 15 Aug 2017 04:19:50 +0000 http://www.onlineworldofwrestling.com/?p=165845 http://www.onlineworldofwrestling.com/the-ripper-is-back/#respond http://www.onlineworldofwrestling.com/the-ripper-is-back/feed/ 0 David (@dlb19338) welcomes wrestling star Zac “The Ripper” Connor (@ZacConner) to the program. Welcome to this edition of OWW Radio. This is the official radio program of Online World of Wrestling.com. Each episode OWW Radio will bring perspective to the WWE, TNA, and everything else making news in the world of professional wrestling. Today David (@dlb19338) welcomes wrestling star Zac “The Ripper” Connor (@ZacConner) to the program. 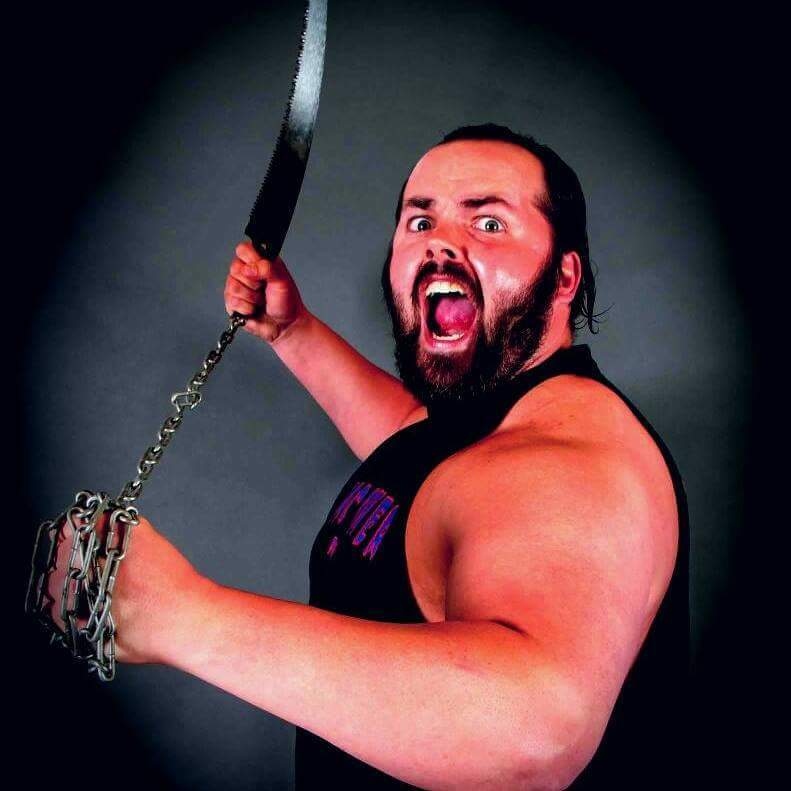 He is one of the most decorated pro wrestlers on the East Coast and on the program he talks about his career to date, and where he still intends to go in the future. Then David talks with his WWE expert Kerry Morris (@WWESQDCircleGuy) about everything going on in WWE as that company builds towards SummerSlam 2017. ]]> David (@dlb19338) welcomes wrestling star Zac “The Ripper” Connor (@ZacConner) to the program. David (@dlb19338) welcomes wrestling star Zac “The Ripper” Connor (@ZacConner) to the program. 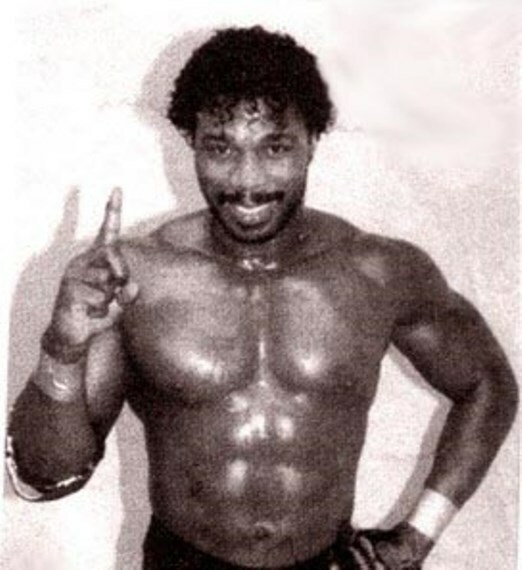 David Buckler yes 1:01:22 Brickhouse Brown Expresses His Thanks http://www.onlineworldofwrestling.com/brickhouse-brown-expresses-his-thanks/ Wed, 05 Jul 2017 21:34:47 +0000 http://www.onlineworldofwrestling.com/?p=165060 http://www.onlineworldofwrestling.com/brickhouse-brown-expresses-his-thanks/#respond http://www.onlineworldofwrestling.com/brickhouse-brown-expresses-his-thanks/feed/ 0 Brickhouse Brown talks to CAC Radio about his career and shares entertaining stories about Terry Funk, Koko B Ware, Jerry Lawler, and many other stars. ]]> Brickhouse Brown talks to CAC Radio about his career and shares entertaining stories about Terry Funk, Koko B Ware, Jerry Lawler, and many other stars. Brickhouse Brown talks to CAC Radio about his career and shares entertaining stories about Terry Funk, Koko B Ware, Jerry Lawler, and many other stars. David Buckler yes 1:05:23 Los Hermanos de Sangre: Blood is Thicker Than Water http://www.onlineworldofwrestling.com/los-hermanos-de-sangre-blood-is-thicker-than-water/ Fri, 12 May 2017 14:46:58 +0000 http://www.onlineworldofwrestling.com/?p=163881 http://www.onlineworldofwrestling.com/los-hermanos-de-sangre-blood-is-thicker-than-water/#respond http://www.onlineworldofwrestling.com/los-hermanos-de-sangre-blood-is-thicker-than-water/feed/ 0 The "Corrupt Cavalier" Dante Caballero and Gran Diablo join this edition of OWW Radio. ]]> The "Corrupt Cavalier" Dante Caballero and Gran Diablo join this edition of OWW Radio. 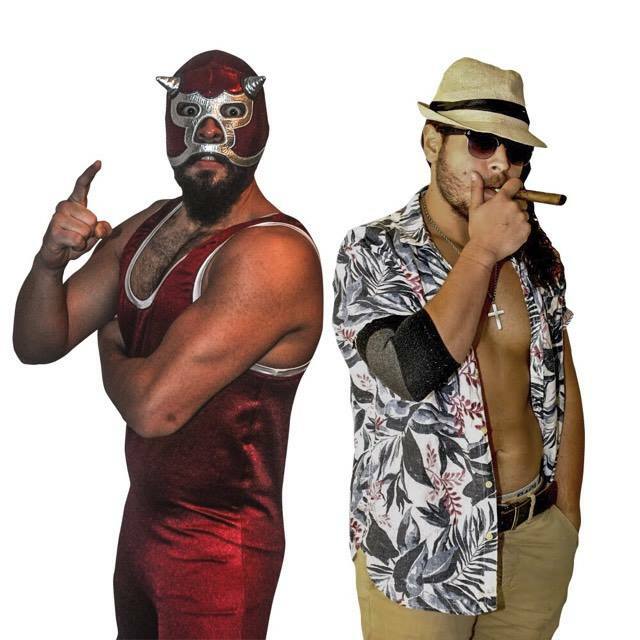 The "Corrupt Cavalier" Dante Caballero and Gran Diablo join this edition of OWW Radio. David Buckler yes 33:41 Author Scott Teal Discusses Nashville’s Rich History http://www.onlineworldofwrestling.com/author-scott-teal-discusses-nashvilles-rich-history/ Tue, 09 May 2017 20:30:43 +0000 http://www.onlineworldofwrestling.com/?p=163818 http://www.onlineworldofwrestling.com/author-scott-teal-discusses-nashvilles-rich-history/#respond http://www.onlineworldofwrestling.com/author-scott-teal-discusses-nashvilles-rich-history/feed/ 0 On this edition of OWW Radio David welcomes author Scott Teal to the program to discuss his new book "The Greatest Wrestling Ever in the History of Nashville, volume 1". ]]> On this edition of OWW Radio David welcomes author Scott Teal to the program to discuss his new book "The Greatest Wrestling Ever in the History of Nashville, volume 1". On this edition of OWW Radio David welcomes author Scott Teal to the program to discuss his new book "The Greatest Wrestling Ever in the History of Nashville, volume 1". David Buckler yes 51:02 Mr. Grim is Checking Names Off His List http://www.onlineworldofwrestling.com/mr-grim-is-checking-names-off-his-list/ Mon, 24 Apr 2017 17:17:37 +0000 http://www.onlineworldofwrestling.com/?p=163509 http://www.onlineworldofwrestling.com/mr-grim-is-checking-names-off-his-list/#respond http://www.onlineworldofwrestling.com/mr-grim-is-checking-names-off-his-list/feed/ 0 Wrestling's “Hitman For Hire” joins this edition of OWW Radio. Welcome to this edition of OWW Radio, the official radio program of Online World of Wrestling.com. Each episode OWW Radio will bring perspective to the WWE, TNA, and everything else making news in the world of professional wrestling. Today David (@dlb19338) welcomes wrestling star “The Hitman For Hire” Mr. Grim (@MRGRIM_IS4_HIRE) to the program. Email Mr. Grim at hiremrgrim@gmail.com with booking inquiries. ]]> Wrestling's “Hitman For Hire” joins this edition of OWW Radio. Wrestling's “Hitman For Hire” joins this edition of OWW Radio. David Buckler yes 38:12 The Hounds of Hades Are Running Wild http://www.onlineworldofwrestling.com/the-hounds-of-hades-are-running-wild/ Wed, 19 Apr 2017 14:53:36 +0000 http://www.onlineworldofwrestling.com/?p=163362 http://www.onlineworldofwrestling.com/the-hounds-of-hades-are-running-wild/#respond http://www.onlineworldofwrestling.com/the-hounds-of-hades-are-running-wild/feed/ 0 The Hounds of Hades, Austin and Jackson Shadowz, join this edition of OWW Radio. Welcome to this edition of OWW Radio, the official radio program of Online World of Wrestling.com. Each episode of OWW Radio will bring perspective to the WWE, TNA, and everything else making news in the world of professional wrestling. Today David (@dlb19338) welcomes the team The Hounds of Hades, Austin and Jackson Shadowz, to the program. ]]> The Hounds of Hades, Austin and Jackson Shadowz, join this edition of OWW Radio. 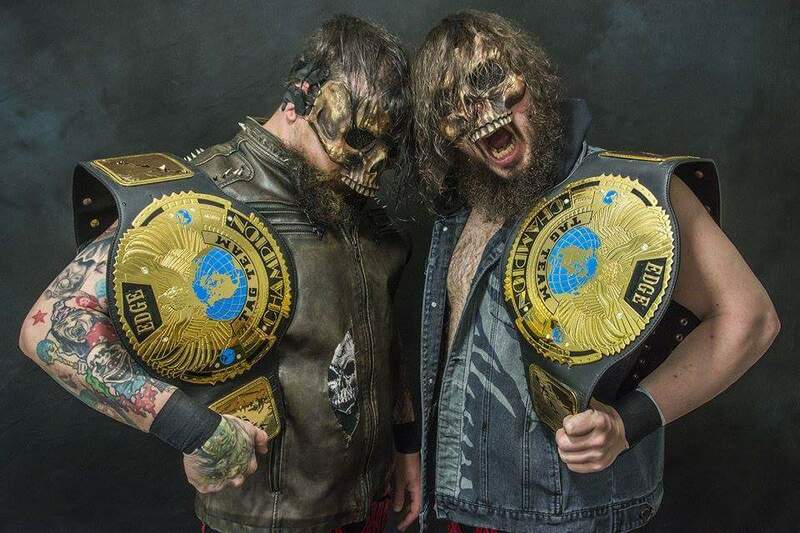 The Hounds of Hades, Austin and Jackson Shadowz, join this edition of OWW Radio. 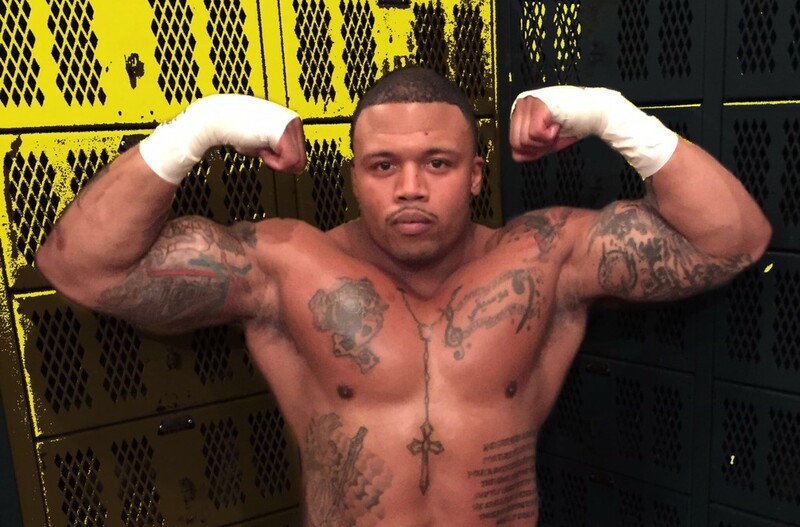 David Buckler yes 33:56 Juggernaut is Crushing His Competition http://www.onlineworldofwrestling.com/juggernaut-is-crushing-his-competition/ Sat, 15 Apr 2017 17:03:49 +0000 http://www.onlineworldofwrestling.com/?p=163257 http://www.onlineworldofwrestling.com/juggernaut-is-crushing-his-competition/#respond http://www.onlineworldofwrestling.com/juggernaut-is-crushing-his-competition/feed/ 0 On this edition of OWW Radio wrestling star Juggernaut talks about his rise through the Mid-Atlantic territories.